"Do not allow children to mix drinks. It is unseemly -- and they use too much vermouth." Poor vermouth. A drop too much sends cocktail hipsters into an absolute uproar. Many martini drinkers take great pride in their disdain for this mixer and aperitif. Winston Churchill, in a piece of famous apocrypha, would mix his martinis and “give a nod towards France” rather than add vermouth to his shaker. Spanish filmmaker Luis Buñuel stated that "Connoisseurs suggest simply allowing a ray of sunlight to shine through the bottle” of vermouth into the gin for a proper martini. What did vermouth do to anyone to deserve this sort of treatment? I’ve never understood the depth of dislike. 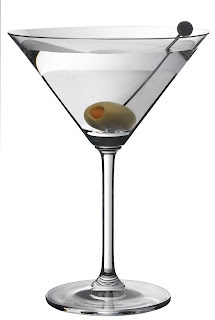 I really enjoy a martini from time to time, and I like the flavor that adding a little vermouth brings to the table. And I’ll never turn down a Manhattan, which has sweet vermouth as a major building block next to the rye or bourbon. I usually have a bottle each of sweet and dry vermouth in my fridge for mixing purposes (more on that in a bit), but I’ve never really thought about vermouth as an aperitif on its own. I’ve written before about Lillet, a favorite aperitif of mine which you can usually locate next to the Vermouth in most wine stores, but I’d not said, “Hey, I’m going to pour myself a nice, cold glass of vermouth” before. From what I’m reading, though, vermouth on its own as an aperitif is enjoying a bit of a renaissance in this day and age of craft cocktails and niche drinking establishments. 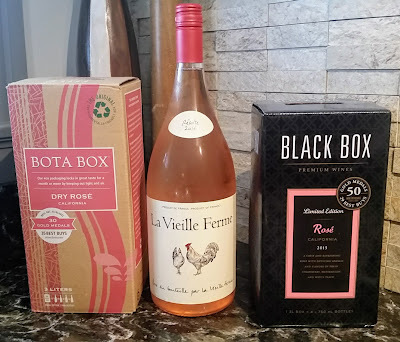 A fortuitous Wine Fairy delivery crossed the threshold at Vine HQ not long ago, carrying with it a couple of bottles of vermouth a little more high end than the Martini & Rossi which usually serves as my “house” selection. Before I dive in to how they are, let’s talk a little about what this stuff actually is. First off, vermouth is wine. It’s a fortified wine, which means that its initially low alcohol content has been boosted via the addition of a neutral spirit, like a brandy or cognac. Vermouth runs generally between 16-22% ABV. It’s also an aromatized wine, so the wine is infused with a proprietary blend of botanicals – most importantly artimisia, better known as wormwood. The fortifying and aromatizing of vermouth allow it to remain fresh after opening for much longer than an ordinary wine – but if you’ve got a bottle of vermouth in the back of your liquor cabinet that you bought two years ago for a cocktail party and never finished, pitch it or cook with it or something. Vermouth is still, after all, wine – and like all wines, it begins to oxidize after it’s opened. It’ll generally hold its flavor for a month or two if you keep it in the fridge, but you can only count on a week or two at room temperature. Vermouth can be an aperitif, drunk on its own with a citrus twist and a dash of bitters, but I admit to never taking it that way until this particular opportunity. I tried a pair of vermouths side by side – the La Quintinye Vermouth Royal Blanc and the La Quintinye Vermouth Royal Extra Dry. Both vermouths are from the southwest of France. They are produced by mixing a fortified wine known as Pineau des Charentes with scads of botanicals (18 for the Royal, 27 for the Extra-Dry). I poured a little of each to do a side by side comparison first. I started with the Royal, which struck me as a little sweet. It’s very pale straw-colored and has a very pretty orange blossom nose with flavors of pears and honey. These fruits gradually turn a little bitter towards the end as the botanicals bite in a bit. My notes say “honeyed absinthe!” and I’ll admit – I’d be a much bigger fan of absinthe if it tasted like this. I thought it was a nice, refreshing drink, and I could see myself drinking this before a meal as an aperitif – although I still would lean towards Lillet if I had a choice. Still, I was pleasantly surprised, and I still need to make a Vesper with it, since a Vesper uses Lillet next to its vodka and gin. I wasn’t as much of a fan of the Extra-Dry as an aperitif. It’s slightly darker than the Royal and has flavors much more along the lines of a typical “dry vermouth” – very little sweetness and quite a heavy dose of botanicals, especially anise, which finished with a little bit of clove and cinnamon spice. On its own, I didn’t find it particularly pleasant, but I decided to use it in its more contemporary role – mixing a martini with it. I’ve never run from vermouth in my martinis. I usually mix them 2.5 parts gin (usually Bombay Sapphire or Hendricks, but New Amsterdam is surprisingly workable for cheaper gin) to 1 part dry vermouth, with extra olives. I like the vermouth botanicals in a cocktail – as I feel they really round off the harder edges of the gin. Here’s where the Extra-Dry really shone. All of those herbal scents and flavors married beautifully with the flavors of the gin. One of the better ones I’d mixed in a long while. As a mixer, the Extra-Dry is top notch. Both of these cost around $15 for a 375ml bottle, so they’re a little more pricey than typical vermouth, where you can usually get a 750ml for about $7-8, but the interesting flavors make it worth taking a flyer on if you’re trying to craft an impressive cocktail.